Highland Park, New Jersey Historical Society Finally has a Home ~ The History Girl! The Highland Park Historical Society has had bits and spurts of active and inactive periods over the years. In December 2014, after a period of inactivity, the Society came back to life at the behest of Jean Kolva, long-time Highland Park resident and Historical Society member, who has also written two books about the town. The impetus for this resurgence was to find a place for both the Historical Society’s and Kolva’s extensive collections of Highland Park-related antiques and memorabilia, which, until now, had been stored in Kolva’s home. 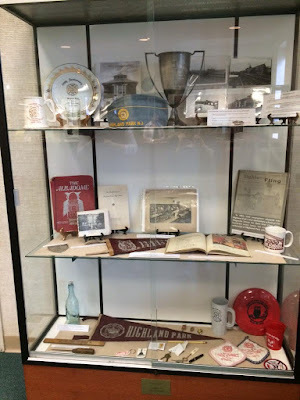 Historical Society members were motivated to find a place where the interesting historical artifacts could be displayed for public view, catalogued, and possibly used for research purposes. A limited portion of the collection was displayed in 2015 at the Highland Park Library. 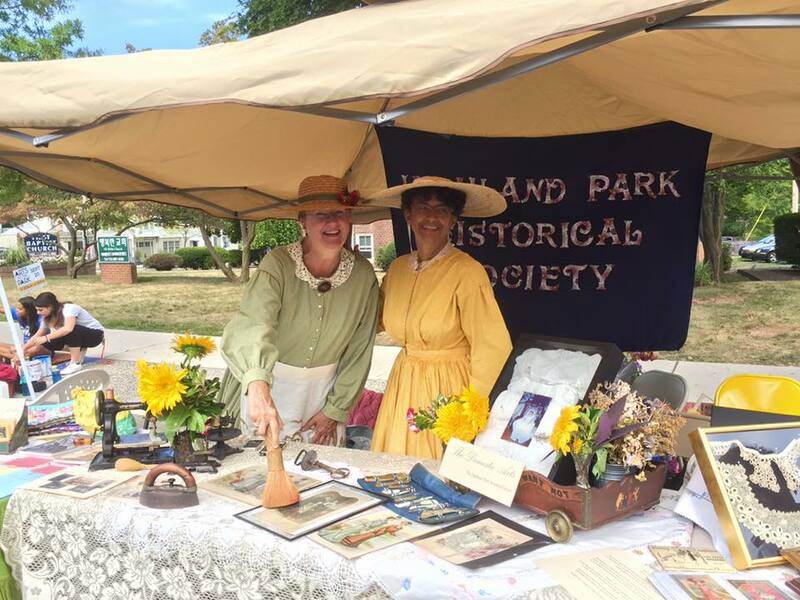 “Highland Park has a rich history, and the Historical Society can be a useful resource for anyone who is interested in learning about it,” said Ghislaine Darden, the Society’s President. After many months of searching for a suitable space, the Historical Society found just the right spot - 212 Raritan Avenue. If that address sounds familiar, that’s because it is also the office of Highland Park Main Street, with whom they will share the space. “We really appreciate Main Street opening their doors to us, literally,” Darden said, “We think the two organizations are a natural partnership.” The Society officially moved in on April 17 but there are still many boxes to unpack and items to inventory. 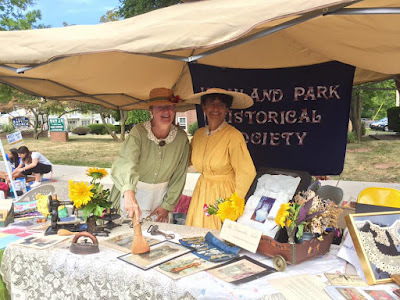 Currently, Historical Society members are focused on preparing their table for the annual Highland Park Street Fair on Sunday, May 1st, where they hope to display some of the newly re-discovered collection. If you are interested in becoming a member of the Historical Society, visit www.hphistory.org for more information. Ghislaine Darden, President, and Barbara Fischer, Treasurer, at the 2015 Highland Park Street Fair.